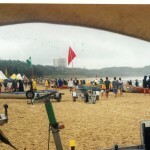 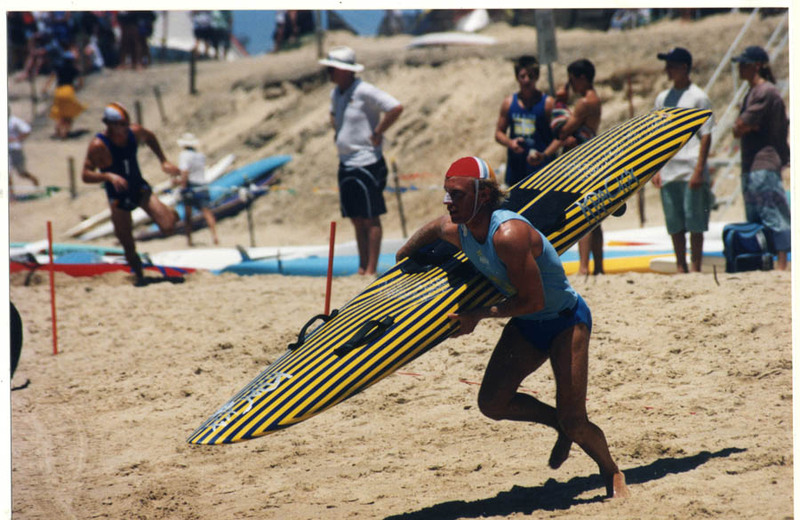 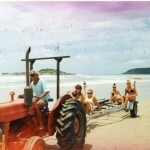 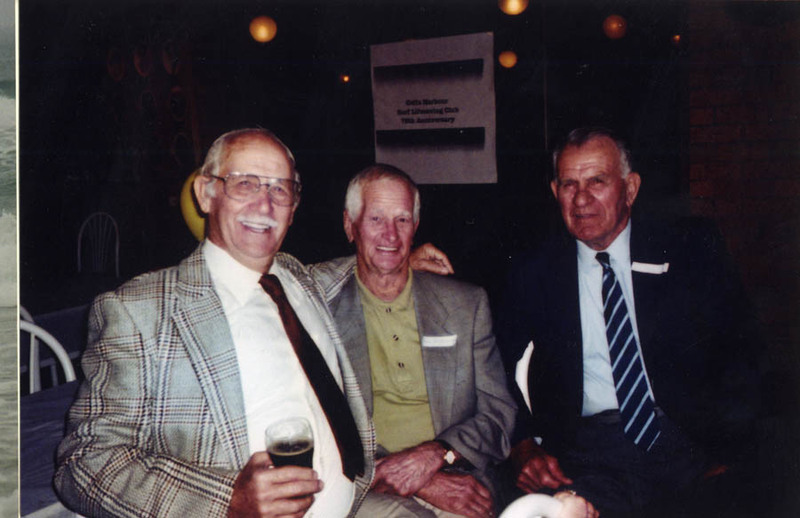 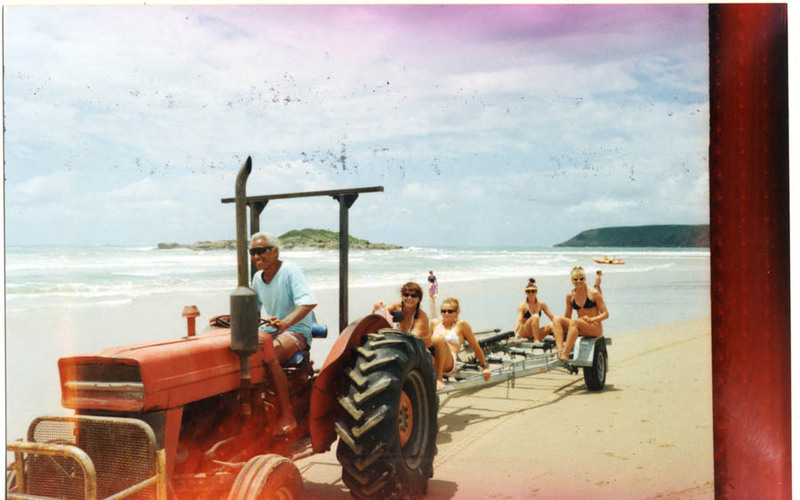 The 1990s started with Geoff O’Brien in the President’s role, Allan (Sleepy) Dawson’s many years of service were rewarded by a life membership of Surf Life Saving New South Wales. 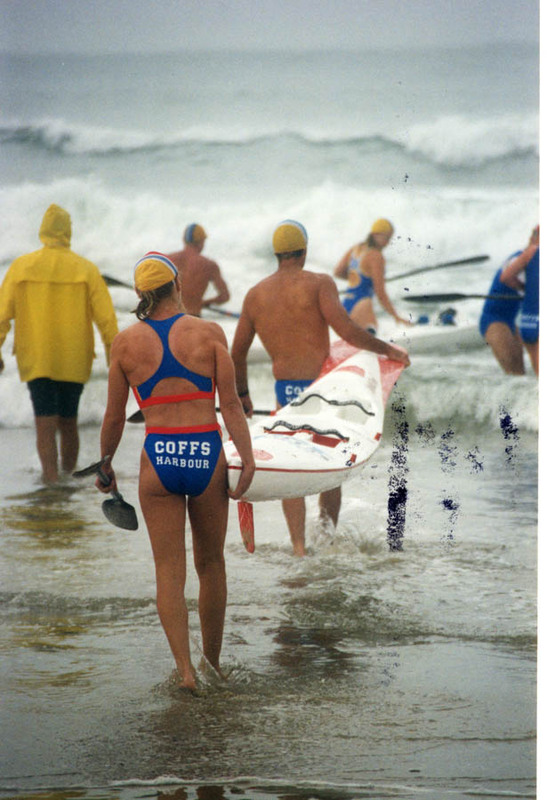 Women were making their mark in the club with Karen Coombes as Treasurer and Rosalie Bryant Chief Instructor serving on the Committee. 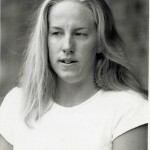 Rose was also “club person of the year” for the 1990-91 season. 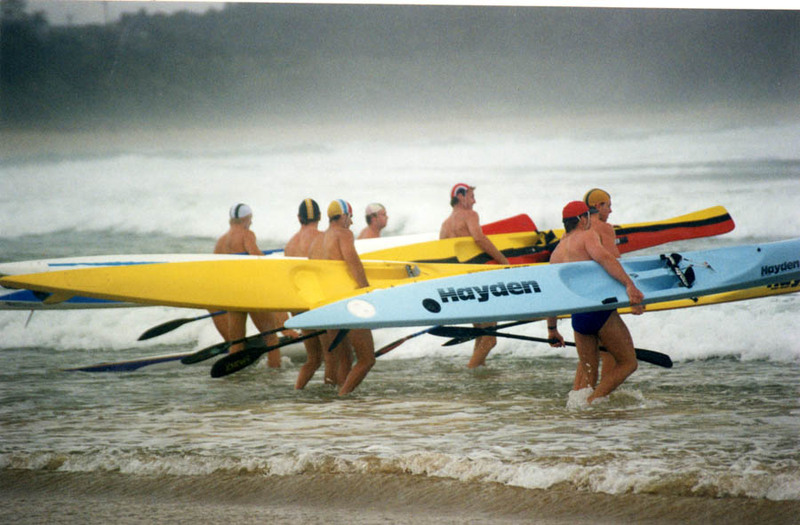 The junior “Nippers” membership reached over 200 kids with many parents involved in both the junior and senior club. 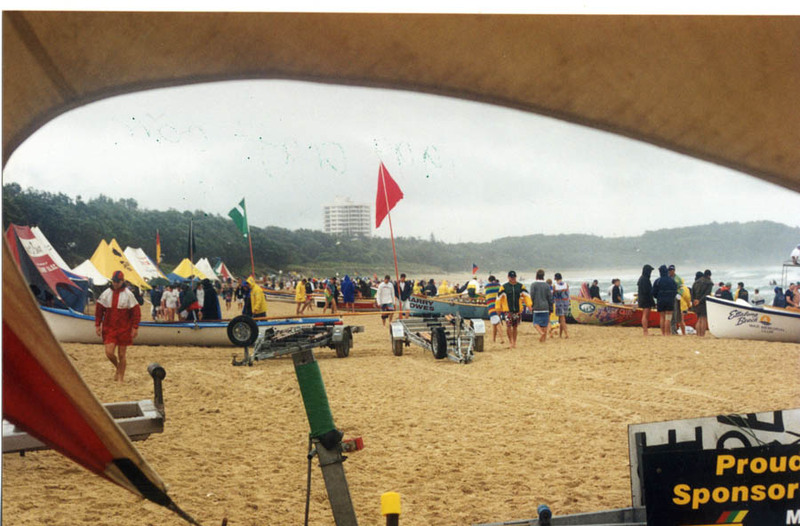 By 1993 junior ranks had swelled to over 300. 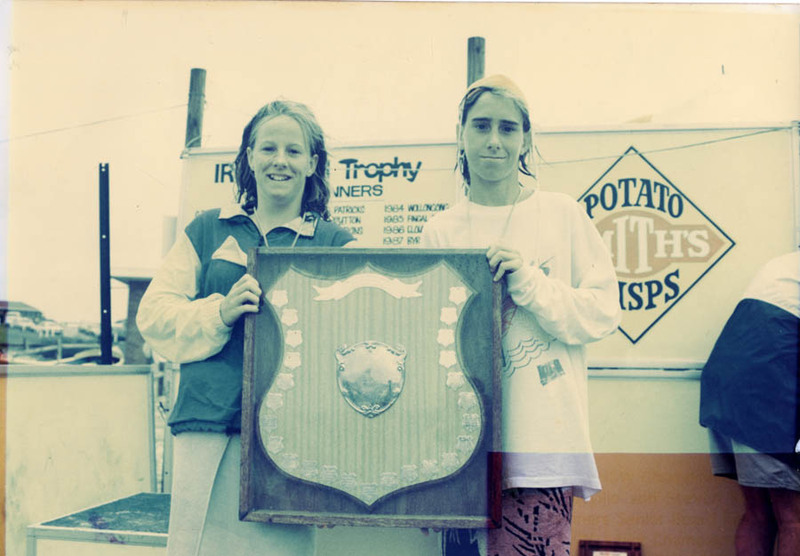 The Annual Craft Carnival continued to blossom with a record 900 entries in 1991. 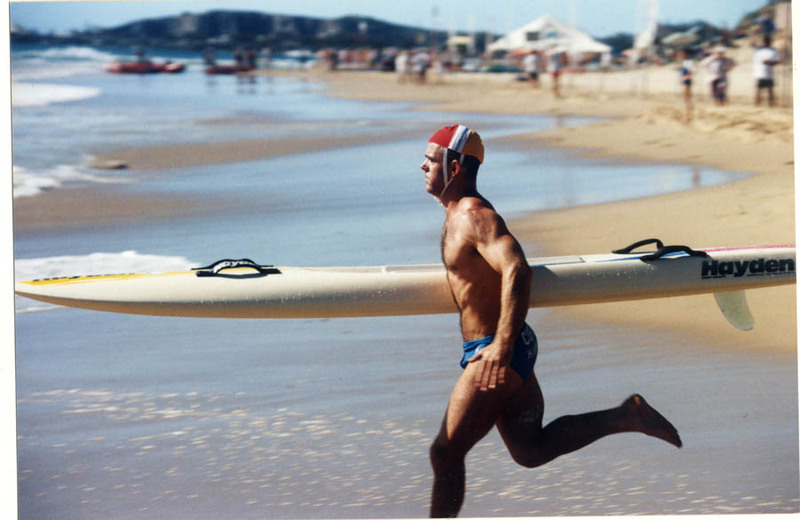 Under 18 competitor Scott Reeves won four gold medals at the NSW State Titles in 1992 and carried on to win two gold at the Australian Titles that year. 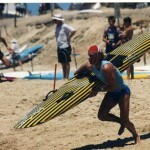 Scott teamed with brother Dean and Steve Masia to win gold in the Junior Board Relay. 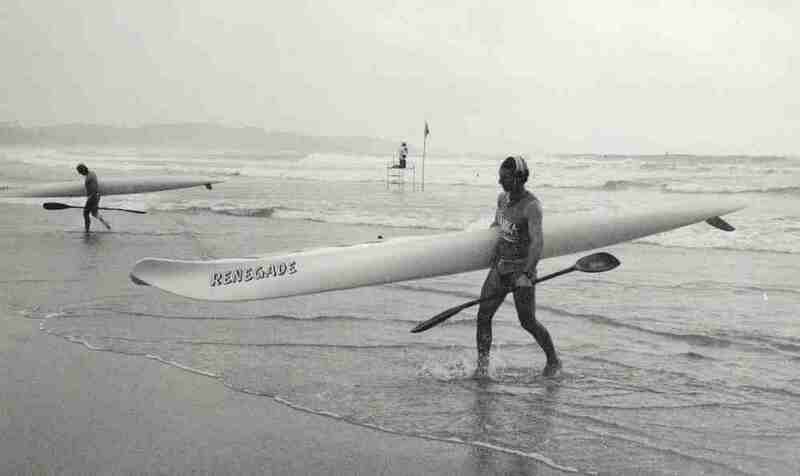 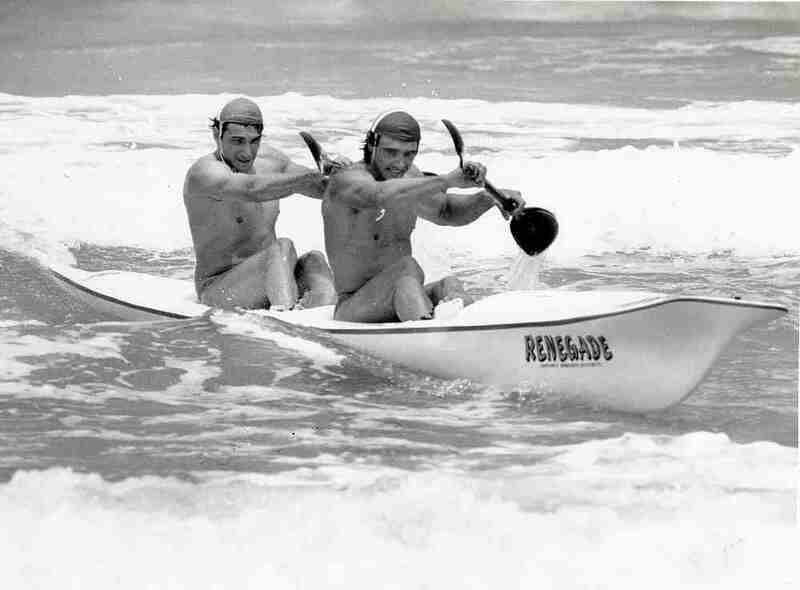 The 1993-94 season saw the Junior and Senior Clubs amalgamate and Adam Neville and Jamie Mitchell won State gold in the Under 16 Board Rescue. 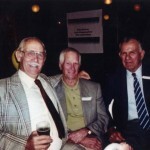 The 1994-95 season saw Frank Hulbert retire as club secretary after 12 years service . 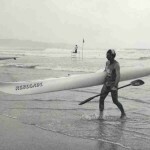 . . a huge effort. 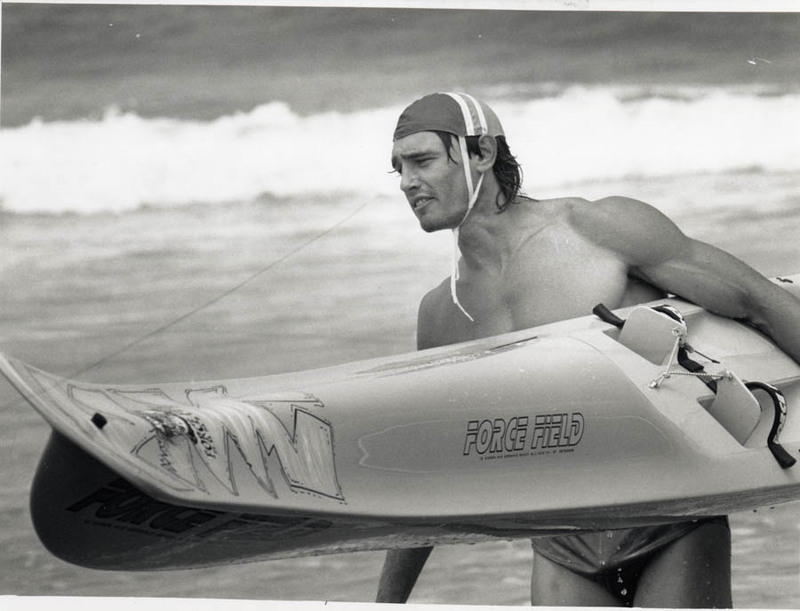 On August 8 1993 Lloyd “The Fox” Meyers suffered a heart attack and died while rescuing two swimmers caught in a rip behind the Park Beach Hotel Motel. 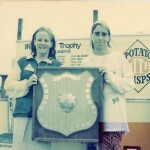 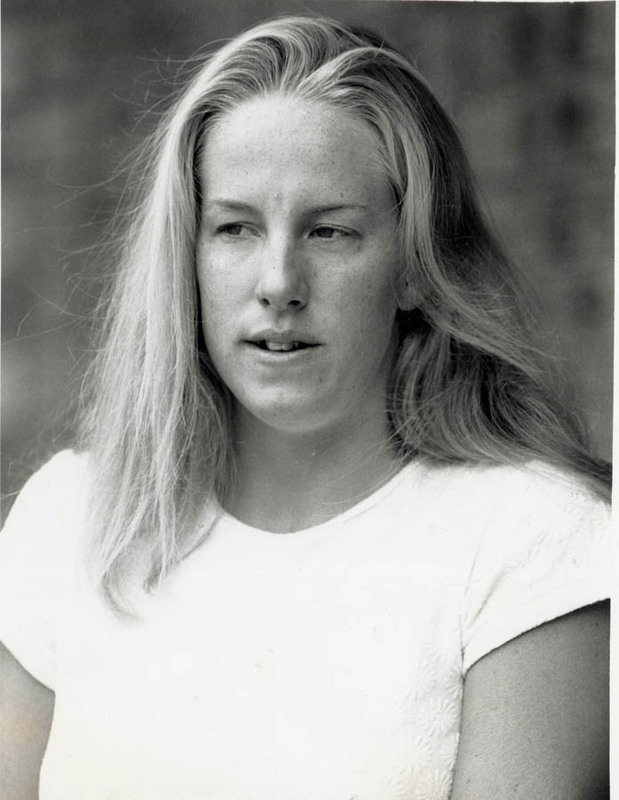 1995-96 saw Belinda Neville win gold in the Under 18 Iron Women Championship at the NSW State Titles. 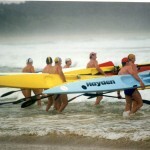 1996-97 Belinda was again successful winning gold in the Under 18 women’s board race at the NSW State Titles and teamed with Gemma McGrath and Kylie Brazier to win the Under 18 board relay. 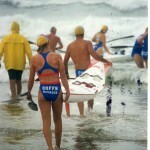 Gemma went on to win gold in the Under 16 Board at the Australian Titles. 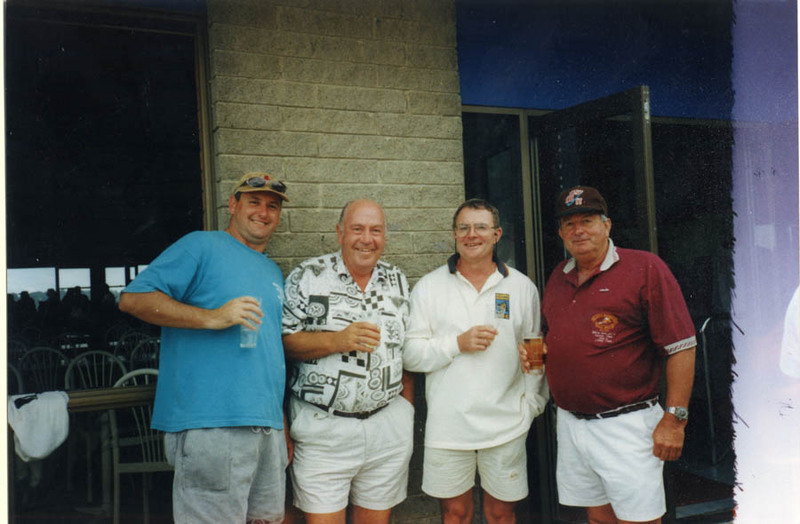 Special mention should be made of club members Rosalie Bryant, Jamie Marschke, Peter Kitching, Cec Tempone and Chris Hickson. 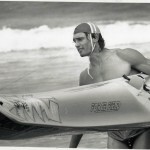 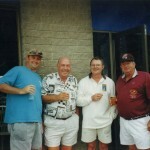 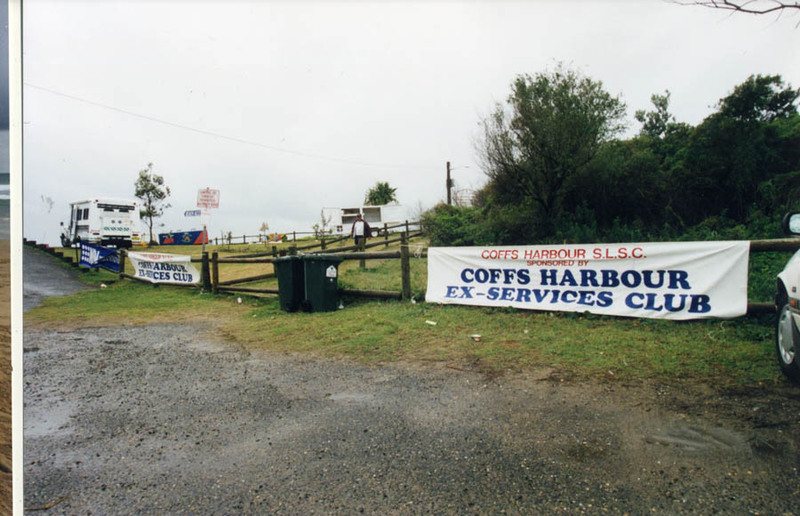 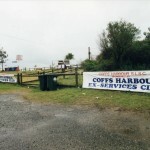 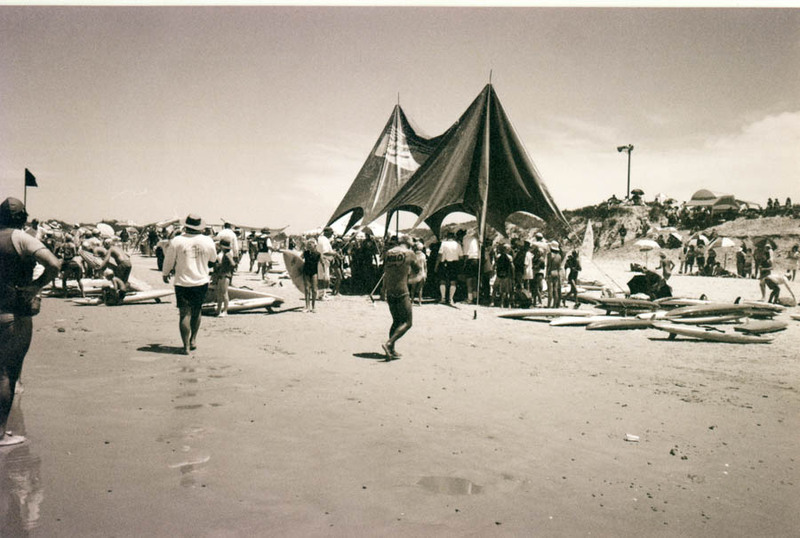 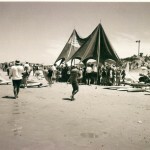 who gave outstanding service in surf education during the 1990s.